Eritrea is in East Africa, bordering the Red Sea, between Djibouti and Sudan, with a long border with Ethiopia. 6 Nakfa — home to the resistance movement against Ethiopia for 30 years and namesake of the currency, it was leveled in 1983 bombing raids; surrounded by trenches and remnants of the war, there is a sizeable population but it is considerably smaller than pre-war. 1 Dahlak Archipelago ; the Red Sea's largest archipelago of which just four islands are inhabited; ruins from the early Arabic/Islamic settlers of the 8th century have been found and Ethiopian weapons and vehicles dumped into the sea during the war have created large artificial reefs great for diving. 2 Debre Bizen ; is a hilltop Orthodox monastery founded in 1361; women are forbidden but men can hike to the top to enjoy beautiful scenery and visit the monastery's centuries old library. 3 Debre Sina ; is a hilltop Orthodox monastery and the site of an annual pilgrimage by thousands. 4 Matara ; ruins dating from the Aksumite Empire, partially destroyed in recent conflicts. Eritrea was conquered in 1890 by Italy, who hung onto it until World War II, when they were expelled by the British. Eritrea was awarded to Ethiopia in 1952 as part of a federation. Ethiopia's annexation of Eritrea as a province ten years later sparked a 30-year struggle for independence, which ended in 1991 with Eritrean rebels defeating Ethiopian and Ethiopian-backed forces. Independence was overwhelmingly approved in a 1993 referendum administered by the UN. Hopes were high when the new state was born but a new border war with Ethiopia erupted again in 1998 and ended only under UN auspices in December 2000. Eritrea briefly hosted a UN peacekeeping operation that monitored a 25 km-wide Temporary Security Zone on the border with Ethiopia. An international commission, organized to resolve the border dispute, posted its findings in 2002. However, final demarcation is on hold due to Ethiopian objections, and the border remains very tense to this day. Eritrea has since expelled the peacekeepers due to lack of support from the UN in having the border ruling enforced. Using the war as an excuse, Eritrea's government has devolved into one of the most controlling states in the world. No national elections have ever been held, the misleadingly named People's Front for Democracy and Justice is the only party allowed, dissidents disappear into jails and the country comes dead last in the Press Freedom Index. Obligatory military service has been extended to eight years for men and women, border guards shoot on sight at people trying to escape, and Eritreans outside the country have to pay taxes to visit. The country is desperately poor, with half the population subsisting on less than a dollar a day. Growth was crippled by the war and the termination of trade with Ethiopia, but has been steady due to state partnerships with mining companies. Hot, dry desert strip along Red Sea coast; cooler and wetter in the central highlands (up to 610mm (24 in) of rainfall annually); semiarid in western hills and lowlands; rainfall heaviest during June-September except in the coastal desert. Bordering Ethiopia, there are north-south trending highlands, descending on the east to a coastal desert plain, on the northwest to hilly terrain and on the southwest to rolling plains. Eritrea retained the entire coastline of Ethiopia along the Red Sea upon declaring independence in 1993. Eritrea is a relatively small country (by African standards), about the same size as Pennsylvania or England, but it has a varied and contrasting landscape due to the diverse topography of the Great Rift Valley, which traverses all of East Africa, the Red Sea and the Middle East. The country's most interesting destinations are its natural attractions. There are six main topographical features in the country. The highlands in the center and south of Eritrea, the western lowlands, the Sahel in the north, the subtropical eastern escarpments, the northern coast and archipelago and the southern coast. The highlands, where the capital Asmara is situated, lie between 1500 and 3500 meters above sea level and are blessed with a temperate, Mediterranean and dry climate, with little seasonal variation in temperature. There, the rainy season comes between May and September and the dry season lasts from December to April. There is however considerable variation in temperature between different altitudes in the highlands. The landscape essentially consists of valleys, hills and vast expanses of plateaus interrupted by dramatic chasms and gorges. The dry season from December to April is distinguished by the red-brown, rusty, beige or black (stone and rubble-colored) landscape, resembling photos from Mars. The vegetation consists largely of shrubbery, eucalyptus, aloes, cacti and the odd explosively colorful specs of bougainvillea, jacaranda or other ornamental plants in the villages and towns. The rainy season brings torrents of rain and nourishment to the land, which transforms into a verdant, emerald and grassy landscape in the post-rain months from August to October. Rural highlanders live a lifestyle that resembles Biblical times: villages with stone houses, small plots, ancient temples (both Christian and Muslim), people farming and herding with traditional means using little technology, and transporting their goods (as well as themselves) with mules and camels. A good place to explore the highland landscape is in the outskirts of Asmara, the capital. Near the village of Tselot is the Martyrs National Park, inaugurated in 2000. It is a mountainous forest and wildlife preserve at the ridge of the highland plateau where the capital was built. The western lowlands lie between 1500 and 100 meters above sea level, the climate is tropical with high humidity and heat throughout the day during the rainy season (which comes at the same time as in the Highlands, i.e. from May to September) and dry hot days with cold nights during the dry season. The landscape consists largely of plains, which are grassy, muddy and green during the rainy season and dry, dusty and sparsely covered with shrubbery during the dry season. The plains are interrupted by the odd hills and mounts as well as three seasonal rivers originating in the Eritrean highlands and one perennial river, which forms part of the Ethiopian border and originates in the Ethiopian highlands (the Setit, also known as Tekeze in Ethiopia and Atbara in Sudan). All major towns in the lowlands are situated on or near these rivers. The southern half of the lowlands consists of typical African Savannah and hosts the odd flocks of wild African elephants and other typically Savannah-type flora and fauna. The northern half of the lowlands is considered part of the Sahara desert and consists of vast expanses of sand dunes and rocks with a few sparsely populated oases. The best place to explore both aspects of the lowlands is the market town Tessenei by the Sudanese border and its surroundings, as it lies right between the dry and green parts of the lowlands. Tessenei is also a place of trade for the nomadic peoples of the desert as well as the sedentary farming communities of the Savannah. Tessenei affords some of the most basic amenities for visitors such as hotels with showers and flush toilets, shops (including photo shops to buy film and bottled drinks) and restaurants serving well-cooked meals. It is accessible by asphalt road from the capital Asmara via Keren and the towns of Agordat and Barentu, which takes about 10 hours. Buses run daily from Asmara. It can also be reached by dirt track from the Sudanese city of Kassala only 40 km (25 mi) away. Considering the border bureaucracy, this short distance could however prove to be a whole day's endeavor. The Sahel in northern Eritrea lies at the eastern fringes of the great Sahara desert and is distinguished by its sharp contrast with the sandy deserts of the western lowlands and those of the eastern coast. The Sahel consists of a towering narrow chain of mountains ranging from 1000 to 2500 meters (3280-8200 ft) high and continue all the way north to Sudan and Egypt (a feature of the Great Rift Valley). The slopes to the east and west are sparsely populated by herding nomads. The rainy season in the western slopes comes at the same time as in the Highlands and western lowlands, whereas the eastern slopes resembles the Red Sea's climate of erratic precipitation between December and March. The rainfall in this region is much less than in most other inhabited parts of the country. The climate is desert-like with little humidity, dry hot days and cold nights with little seasonal variation in temperatures. Variations in temperature are seen however, between different altitudes. Heavy erosion due to war and previous overgrazing has also seriously impeded the benefits of the rainy seasons. The landscape is therefore very arid and fit for only the most tenacious of nomadic herding communities. The central and northern core consists of impenetrable and hair-raising mountain passes, gorges and valleys. This was the main base for the Eritrean rebels (who now make up the country's government) when they fought against Ethiopia for Eritrea's independence. One seasonal river, Anseba, originating in the highlands, bisects the mountain range and drains in a delta on the Red Sea coast of Sudan just north of the Eritrean border. The best place to explore the Sahel is the town of Nakfa, which was the main base of the Eritrean resistance and gave the national currency its name. Nakfa also has a war-museum commemorating the liberation struggle and a comfortable, yet modest government-run hotel with a restaurant and satellite TV. It is accessible from Asmara via Keren on asphalt road and from Keren via the town of Afabet on a dirt road. This takes 10 to 12 hours as the road between Keren and Nakfa is awful. Buses run to Nakfa from Keren starting early in the morning so a trip from Asmara would entail an overnight stay in Keren (which is served many times daily from Asmara). Afabet is also accessible by asphalt road from the port of Massawa via the town of She'eb. The Massawa-Nakfa trip would still take about 10 hours as the unavoidable Afabet-Nakfa leg of the journey is the most taxing. Buses run once weekly from Massawa to Nakfa. The subtropical eastern escarpment, consists of the eastern (seaward) slopes of the highland region. Unique for this thin sliver of landscape is that it hosts the country's only subtropical rainforest and one of the world's largest selection of bird species, both seasonal (winter-migrants) and endemic (tropical). Being so mountainous, it has never been heavily settled (luckily) as it is very hard to farm. Nevertheless, there are some small coffee and spice plantations in its central, higher altitude areas as well as tropical fruit plantations in the lower areas. The Solomouna National Park is the best place to explore this area and is accessible by asphalt road from the capital Asmara as well as the port of Massawa. The only way to the national park is by guided tour with one of Eritrea's tour agencies, which all operate out of Asmara. Traveling to coastal Massawa from highland Asmara, one also passes through this region. The flavor of this region is represented by the towns and villages between Nefasit (25 km from Asmara) and Dongollo Alto (50 km from Asmara). The northern coast and archipelago consists largely of a sandy red-brown and beige semi-desert with some shrubbery and volcanic basalt-rock along the mainland coast. The elevation is between 0 and 500 m (1640 ft) above sea level and the climate is always tropical and humid, reaching uncomfortable highs of 37 to 50 °C (99-122 °F) in the summer months from May to September before cooling to breezy and warm "low's" of 25 to 35 °C (77-95 °F) between October and March. The rainy season is an insignificant concept on the coast as it seldom rains at all, save for the freak storm that occurs on the odd year. Some minimal precipitation and cloudiness may occur in the months of November to March, but the coast relies mainly on the runoff from the highlands and eastern escarpments for its water supply (from aquifers and table water). The few attractions inland are the hot springs resort about 35 km (22 mi) from the port city of Massawa, where hot mineral water baths are available and the water is also bottled as one of the country's most popular mineral water sources and brands (Dongollo, sold in brown glass bottles). The coast and archipelago host some of the Red Sea's most pristine coral reefs, rife with marine wildlife ranging from dugongs and mantas to big schools of tigerfish, dolphins and of course sharks. Eritrea's coast offers some of the best diving in the world but some of the most limited diving and tourist facilities, all of which are based in the port city of Massawa and are extremely expensive. The beaches in and immediately surrounding the port city of Massawa and to the north are of modest to poor quality due to pollution, flooding and erosion from the nearby highlands. Parts of the northern coast also consists of large mangrove swamps, great for fishing and bird watching but not for beach life. The beaches on the Dahlak islands, on the other hand, are clean, white and pristine, with lagoons of clear turquoise water. The only way to get to the Dahlak islands is to charter a boat from a licensed company in Massawa. The biggest island Dahlak Kebir, which features one modest resort-hotel is 90 km (56 mi) away as are some other smaller uninhabited islands like Dissei, which can make for affordable day-trips from Massawa. Beyond Dissei, the archipelago extends much farther and offers much greater attractions. With Eritrea's limited facilities, the possibility of going on longer cruises and exploring more of the attractions is prohibitively expensive and only available through a few European-run companies based in Massawa. With the country's heightened sense of security, doing such travel independently on one's own boat or a chartered one is impossible. The best place to explore the northern coast and archipelago is obviously the port city of Massawa. The southern coast is perhaps Eritrea's most dramatic yet most inhospitable landscape because of its volcanoes, quicksand, bubbling sulphuric mud pools, salt lakes, coastal cliffs and inland depressions. The elevation ranges between peaks of over 2000 m (6,560 ft) above sea level and depressions of more than 100 m (330 ft) below sea level with fields of salt pans and strangely shaped rocks where temperatures reach the highest on our planet. The southern coast has the highest recorded temperatures in Eritrea which regularly reaches 55°C (131 °F). Humidity keeps the temperatures high all throughout the day and seasonal variations are the same as on the northern coast. The northern inland areas of the southern coast offer a dramatic landscape of contrast between the backdrop of the towering mountains of the highlands to the west and the vast expanses of coastal desert to the east. It is the only area of considerable vegetation in the whole region, thanks to the highland rainfall and runoff. The area also hosts an interesting array of wildlife such as mountain goats and ostriches. The region is situated between the port cities of Massawa and Assab, which are about 500 km (310 mi) apart. The region is ideally visited on a journey between the two cities, but a journey could also consist of excursions from Massawa and/or Assab individually, especially for trips geared towards viewing inland landscapes. Any journey without guides to this region is off-limits due to the extreme climate and to political volatility near the Ethiopian border. The only public transportation in the area consist of buses between Massawa and Assab, which run a few times weekly. Assab is also served by Nasair from Asmara twice weekly. Citizens of Kenya and Uganda do not need visas and citizens of Sudan may obtain a visa on arrival. Everyone else must apply for a visa in advance before entering the country. Some Eritrean embassies have websites where a visa application can be downloaded and printed out. When you apply for a visa to Eritrea, you must do it at an Eritrean embassy in - or accredited to - the country where you are a citizen and nowhere else. If there is no Eritrean embassy or mission in your country, contact your foreign office/ministry to verify the nearest accredited Eritrean mission. Below is a list of Eritrean embassies around the world. Asia and Oceania: Islamabad, New Delhi, Singapore, Tokyo, Beijing, Melbourne. When traveling overland, as of December 2008 it was not possible to obtain visas in Sudan (neither in Khartoum nor Kassala) unless you're a Sudanese national or a foreign resident. The border with Djibouti was indefinitely closed in December 2008 and with Ethiopia in May 1998, though an agreement was made in July 2018 to re-open the Ethiopian border. For a tourist visa, you need to submit specific information about when and at what border post you will arrive and depart, so it is wise to have already made some plans (such as buying a ticket). The only serving international airport is 1 Asmara International Airport in the capital Asmara. Egyptair serves Asmara daily from Cairo. Ethiopian: Once-daily flight from Addis Ababa, resumed in summer 2018 after a 20-year hiatus. Air Arabia flies daily from Dubai. Fly Dubai flies daily to Dubai. Turkish Airlines flies to Asmara from Istanbul. Sudan Airways flies to Khartoum. Yemenia has suspended their flights due to the conditions in Sanaa. There is a Vintage Tourist line connecting Asmara and the port city of Massawa but, to date, there is no international railway connection to Eritrea. You can enter Eritrea driving from Sudan (Kassala border crossing) provided you have a valid certificate of ownership of the vehicle you're driving (no rentals) and all your (including your passengers') passports and visas in order as well as a customs declaration (if necessary). Visas should be arranged in your country of origin, before arriving in Sudan (unless you are a Sudanese national). The roads on the borders are very poor so you should be driving a 4WD. The first gas-station entering Eritrea from the Sudanese border is in Tesseney, a distance of about 40 km. Diesel is not sold officially to private car owners because it is reserved for trucks, buses etc. There are Sudanese pickup taxis running from Kassala in Sudan to the Eritrean border (a half hour away) daily, and Eritrean taxis from the Eritrean border to Tesseney (Tesseney is 45 km from the Sudanese border), about an hour away. The bureaucracy of the border crossings can take hours so start in the morning or early afternoon from Kassala in Sudan as it is not possible to enter Eritrea after dusk (border posts are closed). Ports and harbors: Assab (Aseb), Massawa (Mits'iwa). Sadaka Shipping Lines and Eritrean Shipping Lines serve the route Massawa - Jeddah in the Kingdom of Saudi Arabia. They serve mainly Muslim pilgrims, and it is quite difficult for non-pilgrims to enter or transit the Kingdom of Saudi Arabia. If you are sailing or cruising in on a private boat, you can apply for a special permit upon arrival in the ports of Massawa and Assab, to re-fuel, buy supplies and make reparations. Consult your country's foreign ministry and the Eritrean mission in/accredited to your country of origin in advance for details. If you are flying in to Asmara, you will need a permit from the Tourist Bureau on Liberation Avenue if you consider travelling outside Asmara's city limits. This permit needs to be applied for several days before travel. There are few places other than Asmara, Keren and Massawa/Dahlak Islands that foreigners can travel to as of September 2017 (other than those on a designated mission working with the Eritrean government) depending on the time of the year (therefore the conditions of the roads) and mostly, the decisions of the government. If you are coming by land (or ferry/private boat to Massawa), you can get a travel permit at the locality of your arrival, to transit the country, given you have a valid entry visa to Eritrea. As long as you notify and consult with the Eritrean mission issuing your entry visa about your point of entry and travel plans well ahead of time, getting the travel permit is no problem. The most common form of intercity transportation in Eritrea is bus and/or minibus. The most frequent services, consisting of several buses/minibuses a day run between Asmara and Keren, Asmara and Massawa as well as between Asmara and the towns of the southern highlands such as Debarwa, Mendefera, Adi Quala as well as Dekemhare, Segeneiti, Adi Qeyh and Senafe reaching the Ethiopian border. It is not possible for foreign nationals to approach the Ethiopian border and travel beyond the towns of Senafe and Adi Quala as it is a heavily militarized war zone. There are also daily bus services on the road between Teseney (on the Sudanese border close to Kassala) and Asmara traversing Barentu, Agordat and Keren as well as an alternative route traversing Barentu and Mendefera. Once a day, buses/minibuses also run between Asmara and some of the villages of the southern highlands as well. Buses to the north of the country (Nakfa) are less frequent and travel between once weekly to a couple of times weekly between Asmara and Nakfa traversing Keren and Afabet. The buses to the southern coast (Assab) from Asmara are equally infrequent, once weekly only, traversing Massawa. Tickets are bought on the bus and a first-come-first-served rule applies. Some state-run bus lines travelling to remote frontier areas do allow for tickets to be bought in advance at the Asmara bus station, where you can also inquire about the bus-schedule. There will always be some people who speak English and are more than willing to help translate. Nasair connects Asmara with remote Assab twice weekly, and it flies between Asmara and Massawa twice weekly. However the latter flight route may not be a necessary option since the distance between the latter two cities is only 120 km (75 mi) along one of Eritrea's best and most scenic roads. There are also buses several times a day running between the two cities, which cost a fraction of the flight and take little more than two hours while making time for refreshing stops in the mountains. The only rail line in Eritrea runs between Asmara and Massawa, and it is only served by a museum railway (steam engine and all) with no regular service except for freight. It only caters to chartered tour groups, and it takes a daunting 5 hours to complete just the one way journey. Eritrea has no official language, as its constitution establishes the "equality of all Eritrean languages." However, Tigrinya serves as de facto language of national identity. Other national languages of the various ethnic groups of Eritrea include languages Tigre, Kunama, Saho, Bilen, Nara and Afar. Tigrinya, English and Arabic serve as de facto working languages. Italian, the former colonial language, is widely used in commerce, with a few elderly monolinguals. English, however, will get you far. Church of Our Lady of the Rosary. With a bell tower that reaches high into the sky, this building, which was the principal church of the Italian colonials, is a sterling piece of Lombard-Romanesque architecture and a useful bearing point for lost travellers. Enda Mariam Orthodox Cathedral. The ancient church is located at the center of the city and symbolizes the four directions of the earth (east, west, north and south) the four gates on each direction have an equal number of worshippers passing through them every day. At the compound of this church you will find a tree called "Berberestelim". Long ago priests use to wash dead bodies by adding these tree leaves into the water and the body stays as it is for years. Asmara Theatre and Opera House. Constructed in 1920, the Asmara Opera House is an amazing Italian Architectural piece. Al Khulafa Al Rashidin Mosque. One of the most elegant mosques in Africa. The architecture is eclectic, a mix of Italian and local Moorish styles. Fiat Tagliero. One a very few futuristic architectural pieces ever built in the world. It is an old service station designed to look like an airplane. It has two 70 ft (21 m) cantilevered wings, acting as a cover for each side. The currency is the Eritrean nakfa, denoted by the symbol "Nfk" or "???" (ISO currency code: ERN). It is pegged to the US dollar. The official exchange rates are shown above. Black market rates may differ, although a currency reform in 2016 may have largely eliminated the black market as the black market rate was reported in April 2016 to be Nfk16=US$1. Coins are issued in denominations of 1 cent, 5 cents, 10 cents, 25 cents, 50 cents and 100 cents. Banknotes are issued in denominations of 1, 5, 10, 20, 50 and 100 nakfas. Do not accept banknotes issued before 1 January 2016 as they are no longer valid. The best Eritrean souvenirs are traditional handicrafts made from leather, olivewood, clay and straw. These can be found in most souvenir shops in Asmara along with traditional home-spun cotton garments. Posters and postcards are also readily available at most press-kiosks even at the airport. Leopard and zebra skin as well as ivory items can be found in the souvenir markets, but you will be stopped from leaving Eritrea with these. Then, you will probably be stopped and fined at your home destination, because international trade in such materials is banned. Eritrea however has several souvenirs made from goatskin. Gold, pearl, and silver jewellery is also available in the markets in Asmara along with frankincense and myrrh. Beware buying textiles such as home-spun cotton garments, animal skins with fur and mats; they could be infested with parasites. Make sure it has been washed, treated and dried before returning home. Eritrea is generally a cheap place to shop, eat, travel and spend time (hotel prices, apart from the pricey 5-star Intercontinental in Asmara, are also cheap). The only things that could be expensive in the country are understandably imports (especially fuel), services that depend on imports (up-scale restaurants, hotels, private transport or flights) and various government fees (visas, airport taxes, travel permits, etc.) If you stay away from imports (or bring such things as toiletries and cosmetics), eat locally, stay at budget hotels (especially the government-owned), and travel on public transportation, you need less than US$50 per day for food, lodging and transport. Eritrean cuisine in the highlands (around Asmara) consists largely of spicy dishes and is very similar to Ethiopian food. The staple is a flat, spongy crepe or bread called injera, made from a batter of fermented grains. Spicy stews with meat and vegetables are served on top of it and eaten with the hands. This cuisine is generally found in many restaurants in the country. Middle Eastern dishes such as shahan-ful (bean stew) served with pitas are also readily available everywhere but more commonly eaten for breakfast or brunch in modest establishments. Lowland cuisine is not readily available in many restaurants, but in the old town (outermost island) of Massawa, adjacent to the freeport area, there are some simple restaurants that serve cuisine typical to the Red Sea area such as grilled spicy fish and "khobzen" (pitas drenched in goats butter and honey). Owing to its colonial history, Italian food is abundant, albeit not too varied all across Eritrea. You will always find a restaurant that serves good pasta, lasagna, steak, grilled fish, etc. In Asmara, there are also several Chinese restaurants, a Sudanese restaurant, and an Indian restaurant (Rooftop). The most common beverage in Eritrea by far is beer. There is only one (state-owned) brand in the country so there is not much choice, but it is quite good. Beer is consumed cold in Eritrea. Beer's popularity is closely followed by various soft drinks, and the most common flavours are as elsewhere in the world: orange, lemon/lime and cola, produced by one of the most recognizable brands in the world. The same company that holds the beer monopoly also holds the monopoly on producing the local form of Sambouca, colloquially called "Araqi", as well as Vermouth and other spirits. International brands of the same spirits, as well as others, are readily available at most bars for a cheap price. Sophisticated cocktails are not known in Eritrea (as of yet) outside of the Intercontinental Hotel which charges a steep price. On a side note, there is an Irish bar in that hotel. Traditionally Eritreans also drink the local form of mead called "suwa", which consists of old bread fermented in water with honey, as well as a sweet honeywine called "mies". Tap water should not be drunk by foreigners. There is plenty of bottled mineral water, both carbonated and non-carbonated in Eritrea costing around 20 to 30 nakfa. Cafes in some towns offer fresh fruit juices, very common and cheap is seytun = guava, others like orange juice or mango juice are more expensive. To avoid food poisoning unpeeled fruits can be eaten or squeezed fresh by you. Avoid ice creams and all types of salads. Stick to bottled drinks and cooked foods. 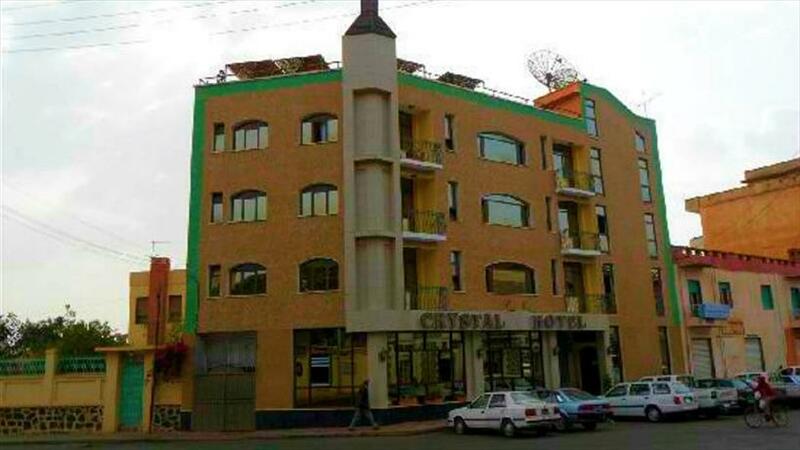 There are hotels at all prices and standard ranges in Asmara, from cheap pensions for 100 nakfa to the modest ones for 200 nakfa, and the overpriced Intercontinental Hotel Asmara, the only international hotel in the country (a little over US$150 per night). Some hotels have one price for foreigners and another for locals. In most smaller towns, the lodging is quite modest and priced accordingly. The only expensive hotels outside of Asmara would be the two hotels on the sea in Massawa, neither of which exceeds US$65 per night as of 2007. Modest in Eritrean terms usually means shared bathroom with several other guests, no room-service, a common room TV, no air-conditioning and no change of sheets or cleaning throughout occupancy unless asked for (and then you might be charged extra just as if you had your clothes washed and ironed, which is also readily available for an additional price). The middle-range hotels will have all these missing amenities (private bathroom, TV, air-conditioning, etc.) but no room-service nor inclusive laundering of sheets or clothes during occupancy. 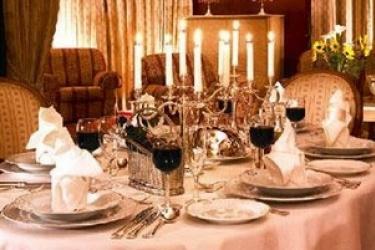 Restaurants and/or cafes are available at most mid-range hotels are regular hangout places for non-guests. In a hot place like Massawa, it is very highly recommended to stay at least at a middle-range hotel where air-conditioning is available. 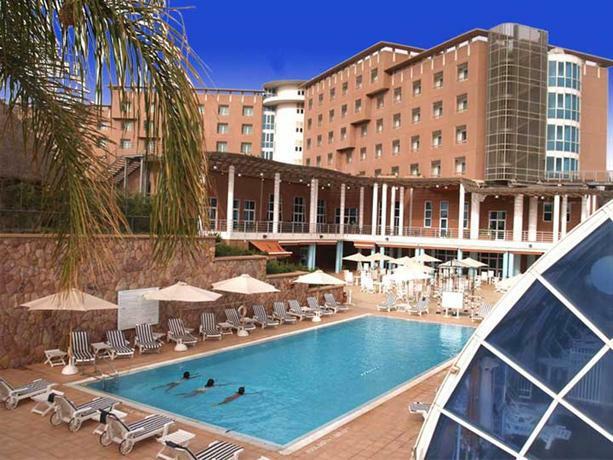 The only hotel that accepts credit cards in Eritrea is the Intercontinental (for a fee) and it is also the only hotel in the entire country with a swimming pool (both indoor and outdoor), gym and other common amenities in a modern standard hotel. 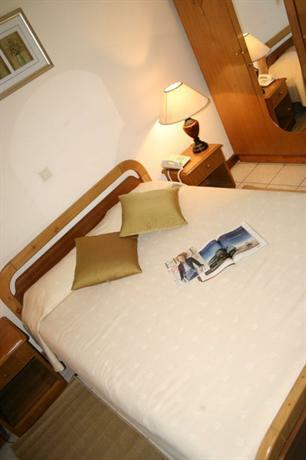 Most, if not all, hotels beyond the towns of Asmara, Massawa, Keren and Assab are of the modest category. There are reported to be mid-range hotels in Nakfa, Barentu and Tesseney as well as resorts in Gel'alo and Dahlak (on the South coast and east of Massawa, respectively). There are opportunities to go to Eritrea to teach and/or to do research projects at the country's institutions of Higher Education and Ministries. However, funding must be provided by your home country as well as a clearance from an Embassy of Eritrea. Working in Eritrea for an Eritrean employer (state or private) and for an Eritrean wage is not an attractive prospect for most Westerners or people reading Wikivoyage. Most foreigners in Eritrea work for foreign employers (the UN, the few remaining NGOs, foreign companies, foreign embassies and related agencies as well as the International School). A few foreigners, mainly from South Asia, work for the Eritrean government in various state-job contracts. Most, if not all, of these individuals acquired their jobs in their home country and/or were recruited and provided with their legal documentation by the Eritrean government while in their home country. It is unusual and perhaps difficult to arrive in Eritrea on a tourist visa and later apply for a work and residence permit while there. Watch out for bicycle riders, vehicle drivers and pedestrians. People don’t look when crossing streets and bike riding accidents are common. Eritrea is general safe though and you can walk about at night and anywhere in the cities and not worry about crime. There are sometimes children that aggressively beg but usually leave you alone if you are stern with them. Travelling near the borders of any country surrounding Eritrea is extremely dangerous, and should be avoided. The towns of Teseney, Barentu and Assab should also be avoided due to the dangerous situation there. Tensions remain high with neighbouring states, and violence can erupt at any time. Do not drink the tap water and even check bottled water to make sure the cap is sealed. Be very careful what you eat. Many people get sick here. There is a Jordanian UN hospital that will treat foreigners. Local hospitals have inadequate facilities. Be healthy if you come here. Avoid uncooked food and unbottled drinks. Adult HIV/AIDS is more than 0.8%. Eritreans are polite, hospitable and soft-spoken but, due to the language barrier, may keep their distance from foreigners. If approached by an English speaker, try to maintain an innocent topic of conversation and use universal common sense. Avoid displaying disdain, arrogance or harsh criticism towards the country, culture, religion or politics of the country, although most will be tolerant of your "mistakes" as you are a passing foreigner. You are in a police state, don't forget it! Do not fall prey to those willing to offer you a better exchange rate for your hard currency or some other "shady economic deal". A) They could be undercover government agents, who can land you in severe trouble with the zero-tolerance Eritrean justice system, or B) Even if they are not, you run the risk of not receiving a fair trade or getting caught by the law, which is something you must avoid at all costs in Eritrea. It is rude to take pictures of people or their property without asking for permission. When taking pictures of public buildings beware of government buildings, especially police and military buildings. Taking pictures of these is not always illegal, but, done without permission or supervision, it can be viewed as highly suspect and can result in an uncomfortable arrest and interrogation. Ask the closest official (receptionist or police) for permission. Prostitution is legal but only in licensed establishments discretely placed out of the public eye (certain bars, nightclubs, hotels). Public display of romantic affection is considered immodest and overt flirting with an Eritrean is viewed by the general public as akin to prostitution or soliciting thereof and can be taken as extremely offensive if the person in question or their kin is not involved in such business. Like in many East African and Middle Eastern countries, use of the left hand to greet, eat or hand something to someone is considered very dirty. When handing something over, using both hands is accepted and even seen as respectful, but not using the left hand alone. Dress code is generally Western, women are not required to "cover up" or wear veils, but showing too much skin, both for men and women will earn them very little respect and women who show too much cleavage or/and wear too short a skirt/pair of shorts will be viewed as prostitutes. Eritrean or Eritrean-looking women would also be judged badly for smoking. Do not however, conflate standards of female modesty with a lack of status or official capacity for women in Eritrea. Women do drive in Eritrea - all vehicles, even military tanks, ships, planes. They also command troops and serve in all the ranks of the army and government in the same capacity as men. It is a country undergoing a post-liberation accelerated (and sometimes paradoxical) cultural evolution. Eritrea's country code is 291. To circumvent heavy censorship, use the free, open-source TOR Project. This workaround may become steadily less effective as the repressive regime gets aid and advice from China. If you are residing in Eritrea, maintain close contact with the Consulate of Canada in Asmara. Remain vigilant at all times and monitor local news. You should avoid all travel to the border area between Eritrea and Ethiopia, which extends 25 kilometres north into Eritrea. Political tension remains high between these two countries due to a long-standing territorial conflict. The border is not clearly defined, and border checkpoints remain closed. Military operations may resume in adjoining areas, which constitute a special security zone under a cessation of hostilities agreement. Violent incidents could still occur. Also note the existence of unmarked landmines in these areas. We strongly advise against driving off main and paved roads. You should avoid all travel to the border area between Eritrea and Sudan, due to continuing instability in eastern Sudan and the risks posed by active Islamic extremist groups. Crime and bomb attacks are often reported. The Sudanese border remains closed, and we strongly advise against attempting to cross it. You should avoid all travel to the border areas of Eritrea and Djibouti, where political tension and territorial conflicts continue to cause instability. Border raids could still be carried out, resulting in armed confrontations and other violent incidents. Crime is also reported in this area. Regional terror groups, including those associated with al Qaeda and al-Shabaab, continue to threaten Western interests and other potential targets in Eritrea. The September 21, 2013 attack on an upscale Nairobi mall illustrates the threat of attacks on civilians in East Africa. Further attacks cannot be ruled out. Be vigilant in crowded places and monitor local media. Street crime, including petty theft and robbery, is infrequent in Asmara and in other towns and villages. However, there has been an increase in pickpocketing and harassment against foreigners. You should take the usual security precautions and avoid showing signs of affluence. Banditry occurs along the coast north of Massawa. Demonstrations and rallies occur in Eritrea and have the potential to suddenly turn violent. They can lead to significant disruptions to traffic and public transportation. Avoid all demonstrations and large gatherings, follow the advice of local authorities and monitor local media. Landmines continue to cause occasional injury and death. Many areas are mined. Caution must be exercised when travelling in remote areas or off main roads. Avoid walking and hiking in the countryside. Contact the Consulate of Canada in Asmara or local authorities to obtain the latest safety and travel information. Landline telephone and cell phone networks are unreliable and often limited to a few hours of service a day in major cities. Avoid travelling in rural areas after nightfall. Paved roads connect the major cities of Asmara, Massawa, Mendefera, Dekemhare, Barentou and Keren, but roads to small villages are unpaved. Road signs and safety guard rails are often non‑existent. There are risks involved in driving, owing to the presence on the road of animals and numerous pedestrians and cyclists. Public conveyances, especially buses, are often overcrowded. Many taxis are available, but they often take several passengers and follow predetermined itineraries. If you pay a higher fare, you may ask a driver in advance not to take other passengers. Medical facilities are very limited. There is a shortage of medications. It takes some time to get used to high altitudes and low levels of oxygen. Penalties for possession or trafficking of illegal drugs are strict. It is forbidden to photograph government buildings and military facilities. Dress and behave discreetly and respect religious and social traditions to avoid offending local residents. To drive in Eritrea, you must have a local driver’s licence. To obtain one, you must present a valid Canadian driver’s licence or an International Driving Permit (IDP). The currency is the nakfa (ERN). All transactions in Eritrea must be made in the national currency. Foreign currency must be exchanged at a branch of the national bank (Himbol) at the official exchange rate. All travellers arriving in Eritrea must declare, in writing, how much foreign currency they are importing. Most hotels, restaurants, shops and other establishments do not accept credit cards. The Government of Eritrea expects foreign tourists to pay for accommodations in U.S. dollars or euros. The rainy season extends from June to September. During this period, most regions of Eritrea are accessible except for the western lowlands, where roads are unpaved. Keep informed of weather forecasts and plan accordingly. Eritrea is situated in an earthquake and volcanic zone. Carry contact information for the Consulate of Canada in Asmara, in case of emergency.